The great thing about Las Vegas is there’s always a hot new place to grab a drink. Check out some of the best new bars in Las Vegas to open their doors in recent weeks. 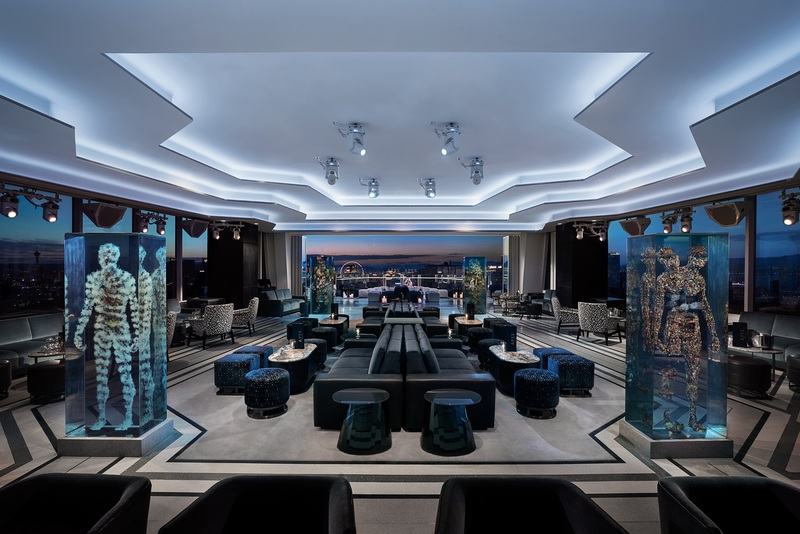 The Palms $620 million makeover continues with Apex Social Club, which occupies the spot formerly known as Ghostbar. The view is the same and so is the stylish lounge atmosphere, but the decor has definitely improved. It’s far less busy and much more modern and open. 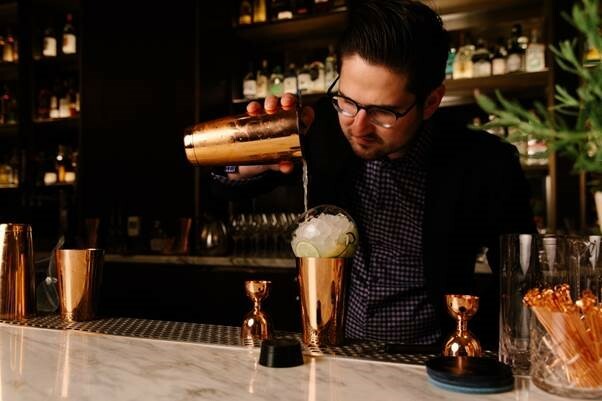 There’s also a renewed focus on the cocktail program. However, the wow factor and view of the entire Strip from the 55th floor will never get old. See the view and read more about the best lounges in Vegas. Possibly the most impressive of the new updates at the Palms, Camden Cocktail Lounge serves up craft cocktails in a sophisticated and stylish environment. Take a seat at the bar or hunker down on a couch and wait for the tableside mixology cart to come to you. Either way, you’re getting some of the most inventive and expertly prepared libabations in town. 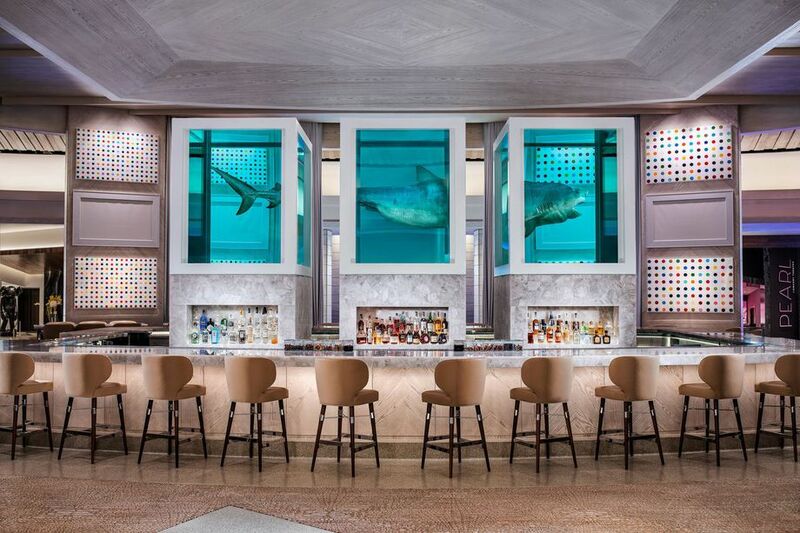 As dramatic renovations continue to take shape at the Palms, The Unknown has been unveiled as a new centrally-located lobby bar. It’s hard to miss with a preserved 13-foot-long tiger shark divided into three display cases hanging overhead. Consider it a conversation piece while enjoying cocktails on a bold white marble countertop. 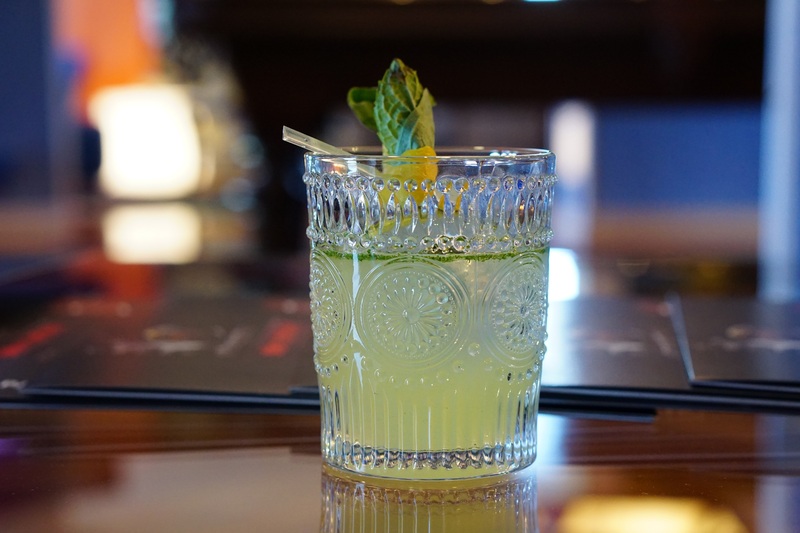 With the Monte Carlo now officially transformed into the Park MGM, one of the big new changes is Juniper, a craft cocktail lounge with what is billed as the largest gin collection in Las Vegas. Even the gin and tonics are given a fun twist, customized with a paper fortune telling game that follows a choose-your-own-adventure format.